Why open a branch office in Slovenia? Many foreign investors choose to open a branch office in Slovenia because they intend to check first the Slovenian market. Through a branch office in this country they can merchandise their goods and services in Slovenia. 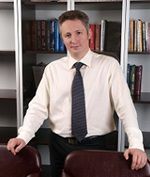 The main act which regulates the formation and operation of a branch in Slovenia is the Companies Act. Our specialists in company formation in Slovenia can tell you more about this law. A branch opened in Slovenia doesn’t have a legal personality and the full responsibility for its action is taken by the foreign company. This is the reason why many of the important decisions that has to be taken by the branch must firstly receive the approval of the parent company. Buying shares from a local company or another branch is possible only after the approval of the foreign company. Another characteristic of the Slovenian branches is that even though it has to keep separated financial accounts, every year it must deposit to the Slovenian authorities the statements of losses and profits and the balance sheet of the parent company. The branch’s capital is provided by the parent company and if a list of assets is requested, the branch must also include the foreign company’s assets. The process of registration is one of the simplest from Europe because of the electronic system adopted by the Commercial Registry. In only one week, a branch may begin performing commercial activities in the name of the foreign company. The application for registration of a Slovenian branch must contain relevant data on the foreign company(an extract from the foreign trade register where is stipulated the date of registration and company’s details, the certificate of registration, the articles of association-all three must be notarized in the foreign company and accompanied by a Slovenian translation, a list with the members of the management and supervisory board, the type of business performed and the type of company, the name and the registered address) and details regarding the branch (the name of the branch, the minute of the meeting where the decision of incorporation was taken, the name of the person in charge with the registration, the name and personal details of the person in charge with the branch’s activities). All the documents must be submitted online or in person at the one stop shop (E-vem). The main advantage of registering a branch in Slovenia is that there are no registration fees and the process is very simple and quick. 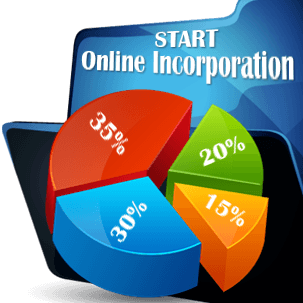 If you want to set up this business form, please contact our experts in company formation in Slovenia.